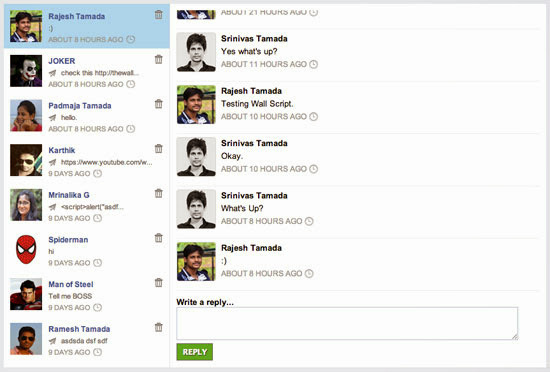 Database design for Facebook wall script. Contains these tables Users, Friends, Messages, Comments, Conversation, message_like, message_share, comment_like, Conversation, Conversation_replay, User_uploads and Friends newly added table for friend relations. Everything, introducing most awesome social network features such as private conversations, like/share updates and improved expanding URL system. Please take a quick look at this demo. New design was strongly inspired from Facebook iPad application. Multiple images now turns into beautiful album slider. Multiple image uploads is now turns into beautiful album slider. Powerful Oembed URL Expanding system. This is implemented with OEmbed api using CURL, Wall Script 6.0 is supporting following media services. Wall Script 6.0 features list. Improved code style to reduce duplicate html tags, each block component is working as individually. You can easily change or control the application design. With existing Wall Script 5.0 features. 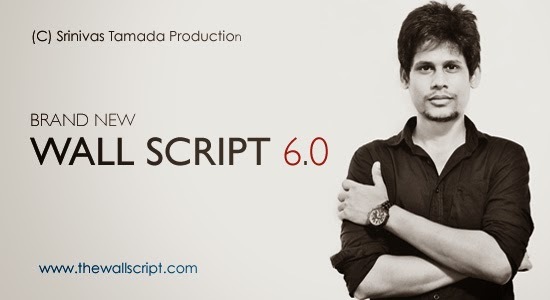 Upgrade: If you already bought Wall Script 5.0, you will get latest Wall Script 6.0 for 20$. Why not integrated timeline in 6.0 ? does everybody not like it? This would be great if it was part of existing forums like simple machines, xmb forums, phpbb etc. You're becoming an alien. Really Good work. I come from China,and i known you since i readed your blog,it's really helpful for me to improve my ability of web development,thank you a lot! Has Private Messaging realtime update? Awesome Srinu ... Nice work. Why is the timeline missing ?? Some questions: is there the admin interface? How is the user registration? By user confirmation? Why is there no Timeline in latest script? It is a well done script. Congratulation for your excellent work. "Exactly year later I did released Wall Script previous version...This script IDEA was came out from my imagination"
Was not quite like that. I was with you along all this time. 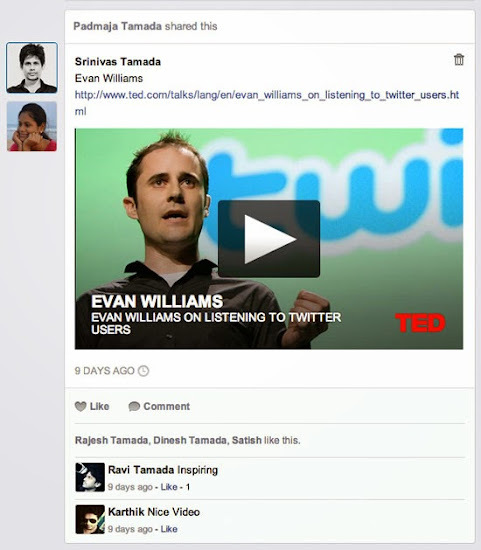 2 years ago, you had some great tutorials to understand technologies behind famous sites like facebook. 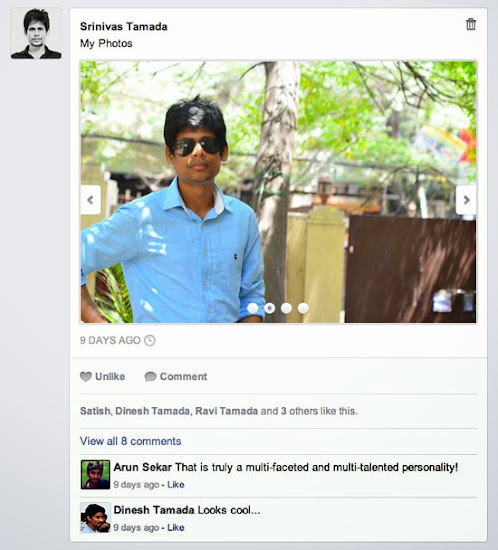 "Facebook wall script with expanding URLs one of the popular post on 9lessons. It is just collaboration of my previous jquery articles"
And if I remember correctly, until 3.0 it was free, like any great tutorial. Too bad that now it costs money, instead being a "donate" option or commercial license. Bottom all, a real working demo it will be nice to see. Very Nice Post Sri etta!! Your Photo also looking very nice!! If you know the username, you can log in with any password! WE WANT ASP.NET and ASP.NET MVC VERSION..
Wishing you a great luck. Hope you earn some good bucks. Which jquery plugin you used for album slider? Is it possible to get an invoice with company info if we buy this script? but there is no ability to attach files in the conversation. hey, will this script be this fast even when a lot of users will use it? Wallscript comes with a lot of beautiful and useful scripts. I really appreciate their services. Is there a way to write on friends wall? What user data does the oath login store? Same amount as your social login script or only email+name? Its a great piece of work, and i appreciate your writing in this regard. This post is really awesome & easy to learn as a beginner.. Thanks for sharing this great post & I am looking for more tutorials.